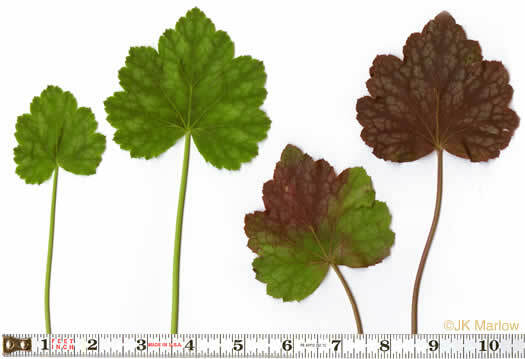 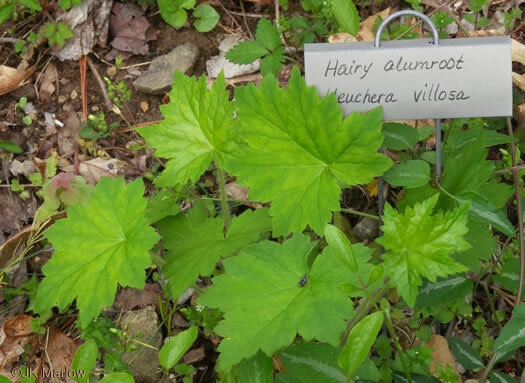 Your search found 8 image(s) of leaves of Tiarella and Heuchera species. 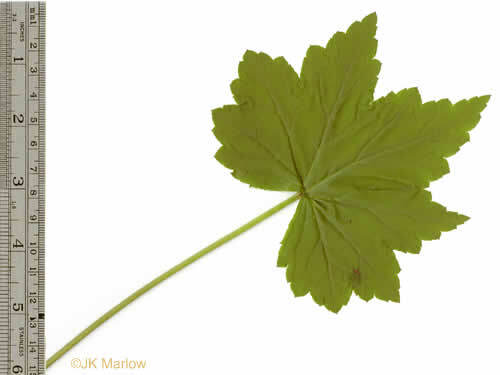 The small, sharply toothed, rounded leaves have gently cut lobes, per All About South Carolina Wildflowers. 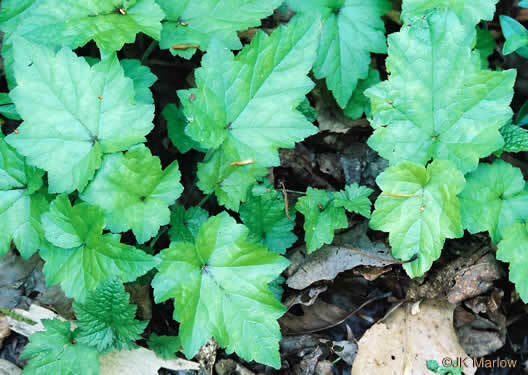 Leaves are shallowly & obscurely 5-lobed with mostly blunt teeth, per Wildflowers of the Southern Mountains. 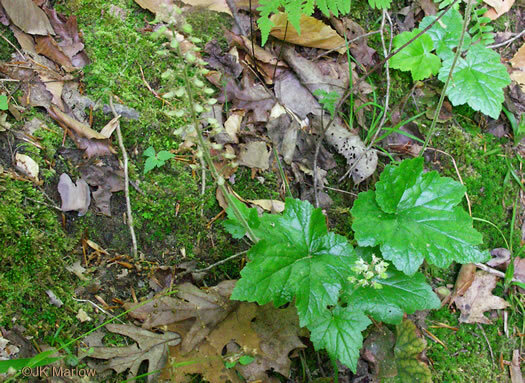 Basal leaves are unequally 5-9 lobed, often white-mottled, per Wildflowers of Tennessee. 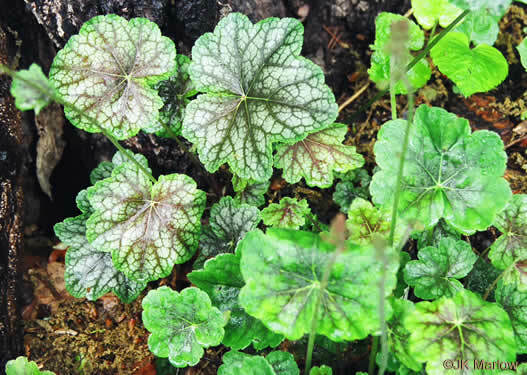 Leaves are deeply heart-shaped at the base & have 5-7 shallow lobes, per Newcomb's Wildflower Guide. 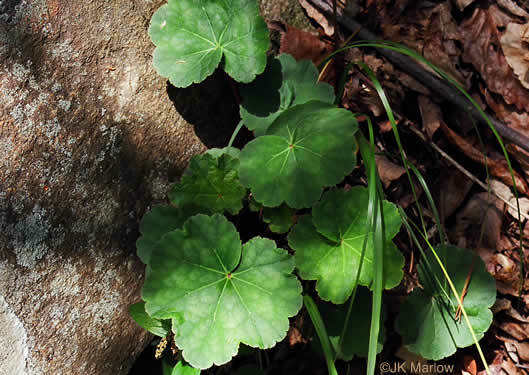 Leaves basal, long-stalked, palmately veined, shallowly 3-5 lobed, hairy, per Wildflowers of Tennessee. 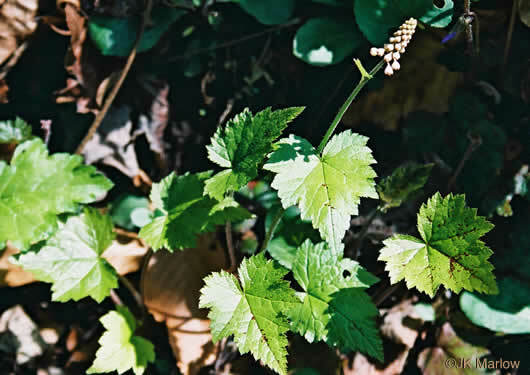 Basal leaves with a heart-shaped base and a long leaf stalk, per Guide to the Wildflowers of SC.